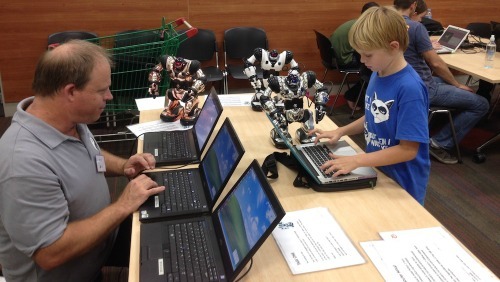 Home › brisbane › Scratch, Robots, Websites and much more! 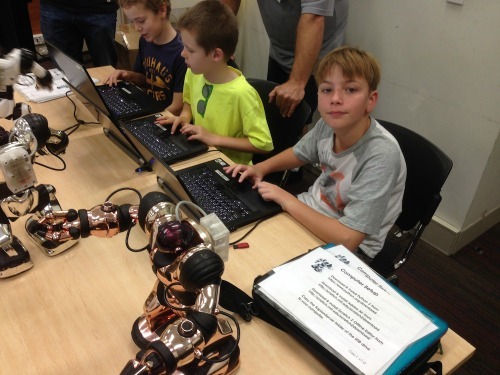 Scratch, Robots, Websites and much more! 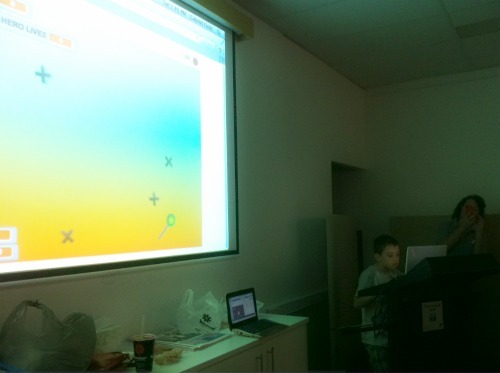 CoderDojo Brisbane sessions have continued at Garden City, Sunnybank Hills and Indooroopilly Library and boy have the kids had some fun! Each session has been a full-house of excited participants, mentors and parents, who have all been having a ball coding Scratch sprites, programming robots and building websites. 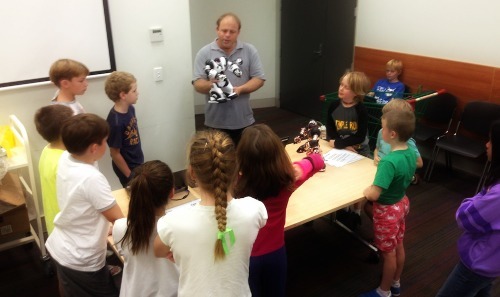 This Saturday, we have some exciting things planned including more programming of the Robosapians at Garden City Library, games development using Unity 3D at Sunnybank Hills Library and also Python and 3D programming using Alice at Indooroopilly Library. Thank you to all our wonderful mentors who are inspiring and helping the kids make their ideas come to life, by showing them such a wide variety of coding programs. 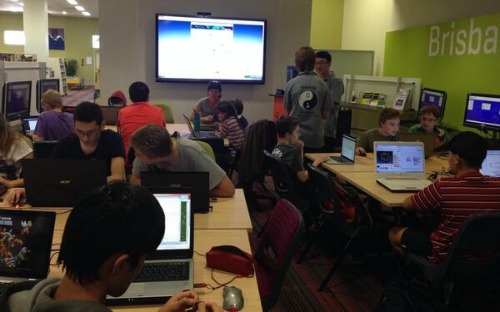 ‹ CoderDojo Brisbane Term 3 & 4 sessions now open!